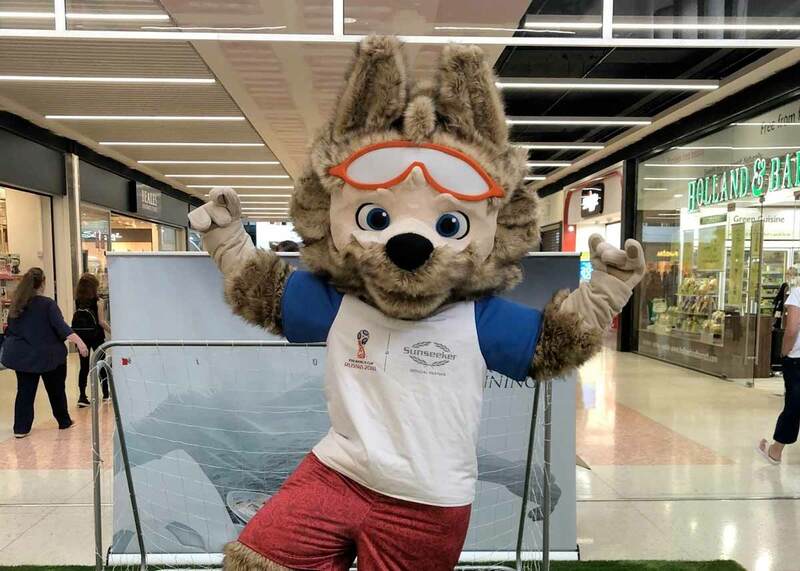 Sunseeker set up a penalty shoot-out area in the Dolphin Shopping Centre in Poole for children and adults to play football and meet with Zabivaka. The children were encouraged to play football and score goals with the official mascot at three allocated times during the day. John Grinnell, centre manager at the Dolphin Shopping Centre, commented, “It was great to welcome Zabivaka to the centre on Saturday. We had positive feedback from families that really enjoyed scoring goals with help from Zabivaka. Children were excited to meet with Zabivaka and came dressed in their football kits ready to play. Sunseeker International has the exclusive use of Zabivaka as part of its Tier One sponsorship of the FIFA World Cup global sporting event which kicks off on 14 June. Zabivaka, a grey Russian wolf, translates in Russian as “the one who scores”.